These are so unbelievably easy to make and with few supplies. We found this idea here from ScienceBob.com. I didn't even think my daughter would think this was that great, but it turned out to be a hit. One never knows with kids, so with my experience I would say to just try things even if you think it won't have success. 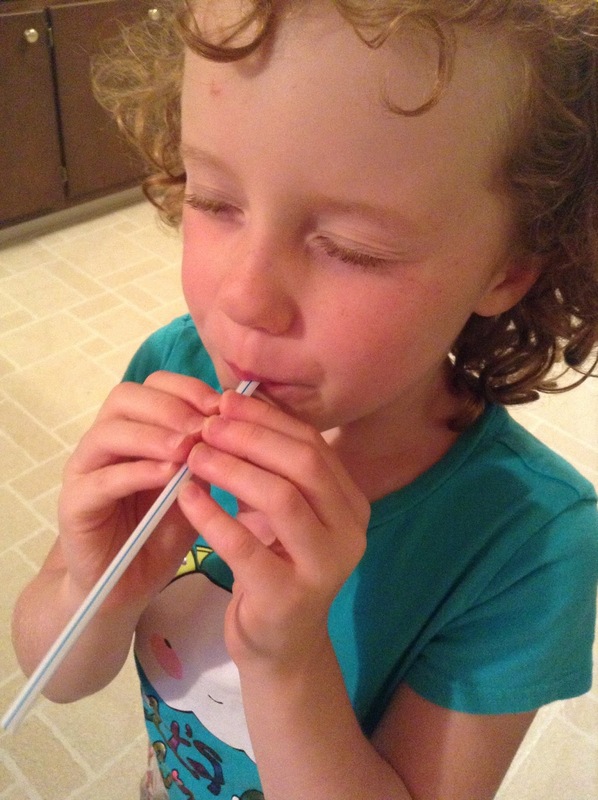 These straw noisemakers are something you'll want to bring outside. First flatten out one end of the straw on the edge of the table. On the same end cut the straw to a point (as shown below). Experiment with different cuts and lengths! Then flatten it a little more and then blow on the pointed end of the straw. Blow closer to the end where the point is for best results. ScienceBob.com describes it as a duck call noise that it makes. You may need bigger lungs, so an adult may be able to do it easier. 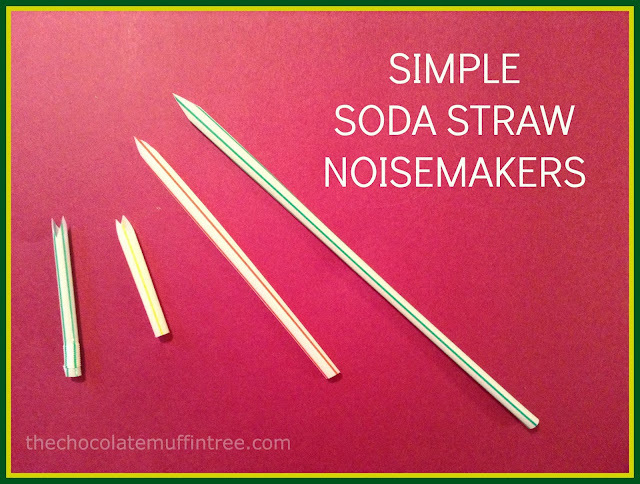 Try cutting the straw into different sizes for different sounds. Experiment! The science behind this is that the the two ends cut at points vibrate very fast to create a sound. This is a really simple project. I think it is neat that it changes the noise that the straw would make. Thanks for posting this neat little project.